This past weekend, I attended a housewarming party for my cousin Kelly. She recently got a new job and moved back to our great state of Wisconsin after working and living in Bemidji, Minn., (a.k.a. almost-Canada) for more than a year. In honor of this momentous occasion, I decided to make something for her new place. 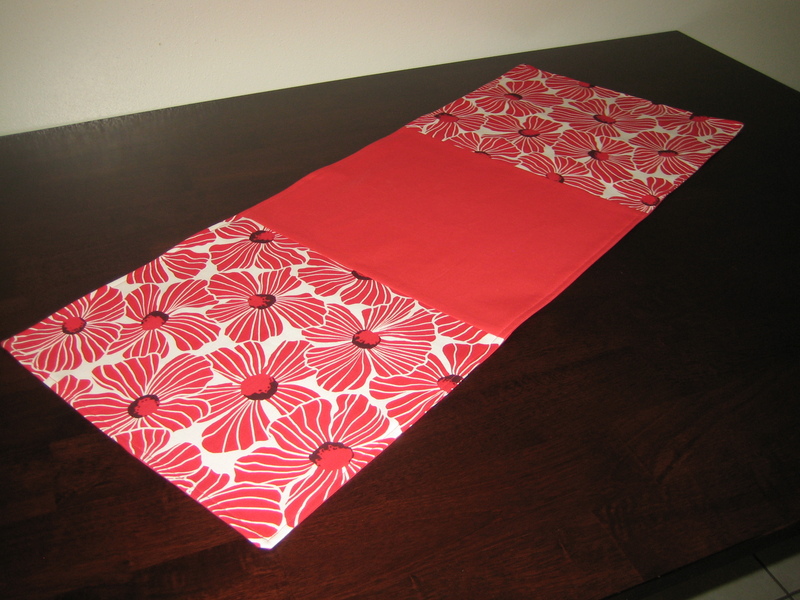 After some deliberation, I decided that a set of place mats and a matching table runner would make a great gift—and be fairly simple to make. 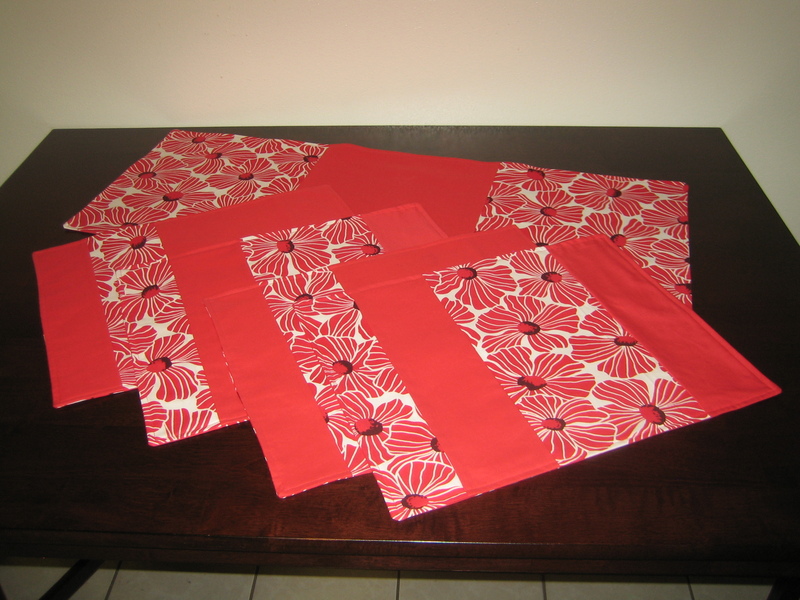 When I was choosing fabric, I tried to remember what kind of dishes she had. I knew they were Corelle, I knew they were white with a pattern that was all or mostly red, and I knew they were square. 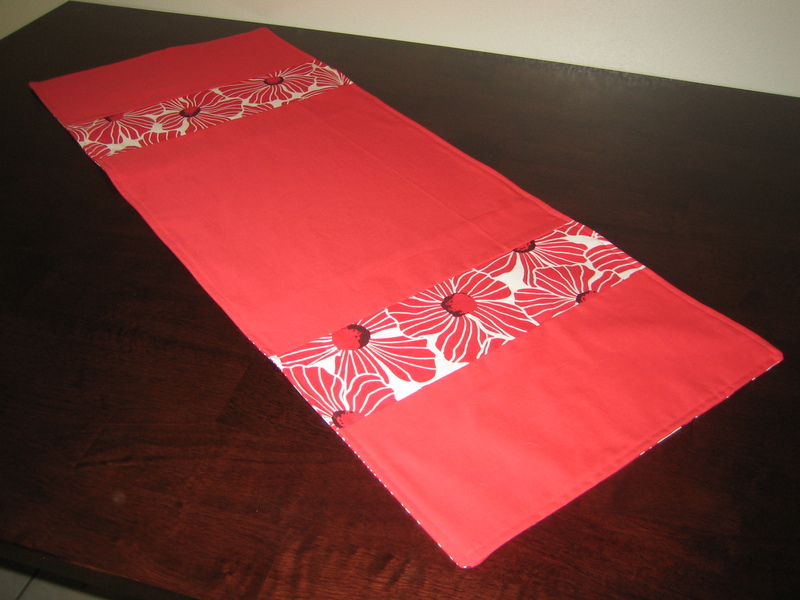 But after spending quite some time looking at plates and still not finding them, I decided to just look for fabric based on the little information I had and pick something that I liked. 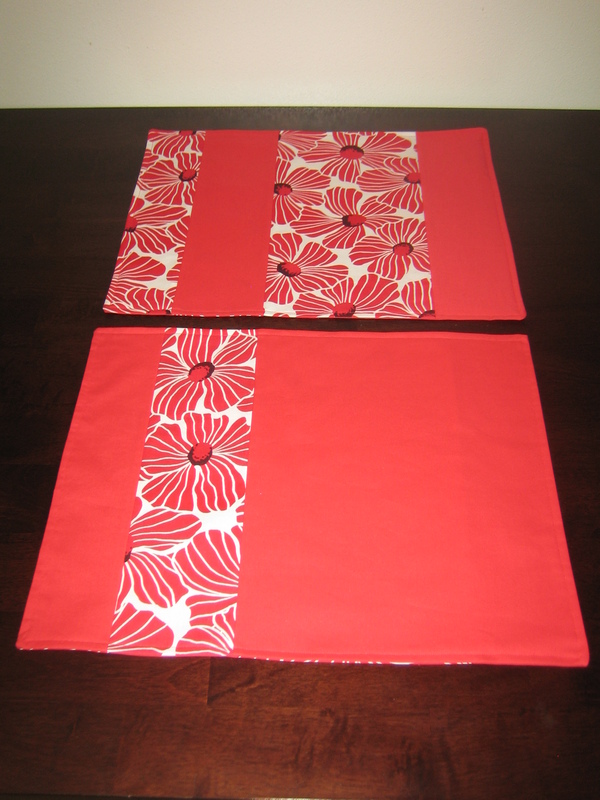 I also decided that to make the gift TWICE as useful, I’d make everything reversible. 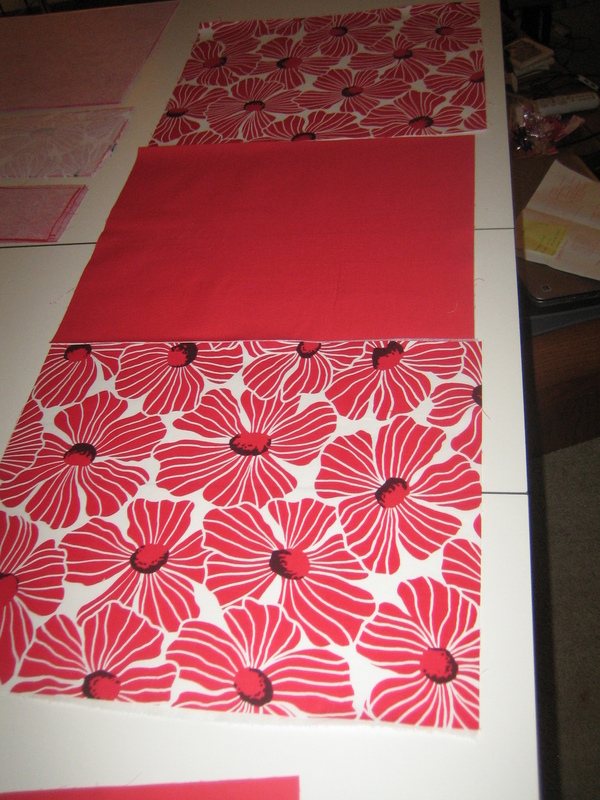 I didn’t do anything crazy, just different proportions of the two fabrics in different layouts. While the final products looked AWFULLY good on my dining room table, I resisted temptation and gave them to Kelly as planned. I hope she enjoys them and gets lots of use out of them! Welcome back to Wisconsin Kelly!